Toyota’s management system is built on the true premise, concluded deductively, that problems are integrant to humanity. Because problems diminish human happiness and threaten survival – whether in life or in business – methods must be developed to do two things: solve problems and assure human progress. The principal method used by Toyota is inductive reasoning, as exemplified by the Plan-Do-Check-Act Cycle, where the “Plan” means to formulate a hypothesis that provisionally explains the cause of the problem and then test the hypothesis using the Do-Check-Act portion of the cycle. Problem-solving is, of course, learning. The truth of a hypothesis, whether well-informed or simply a best-guess, is only probable; it is a plausible, not certain, explanation. If the result of the PDCA cycle is successful (meaning, proved), then the hypothesis infers a general rule. Hypothesis testing is experiential, and so any truth(s) discovered are based on objective facts. But, hypotheses can also exist in untested form and be mistakenly understood and used as truth. How does this happen? 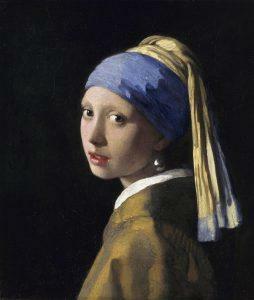 Johannes Vermeer’s “Girl with a Pearl Earring” (1665). An aesthetic that is widely perceived as beautiful in Western culture. A hypothesis can seem to explain the observed data, without formal testing, which will result in sensory satisfaction, emotional contentment, or mental (intellectual) gratification. This form of hypothesis is merely an aesthetic truth, not an objective, fact-based truth, and takes on subjective properties that are close in proximity to the realm of art, beauty, and taste. The seeming validity of aesthetic truths – the “feeling of rightness” – is strongly reinforced by attributing subsets of apparent causal factors to external objects such as folklore, myths, concepts regarded as sacred or time-tested (sentiments), or a deity. Therefore, aesthetic truths are a corruption or contamination of objective, fact-based truths. How are aesthetic truth generated? Business leaders are often physically located far from where the actual work is performed (or, if near, they rarely visit the workplace). In addition, there is a social distance between top leaders and the employees in lower levels of the hierarchy. There is also a great economic distance (e.g. CEO pay vs. worker pay). These combine to imbue leaders with myriad hypotheses that explain, to their satisfaction, what they think is happening in lower levels of the organization (and among suppliers and customers as well). Their hypotheses exist mostly as aesthetic truths, not as objective fact-based truths. And let’s not forget that information provided to leaders is typically suffused with confirmation bias (i.e. telling the leaders what they want to hear), because it is dangerous to tell them objective fact-based truths or to try convincing them that their aesthetic truths are deeply erroneous. One can therefore conclude that, from business leaders’ perspective, there is both merit and beauty in waste. Waste is useful – something that can be put into service to produce desired ends. Importantly, leaders’ hypotheses and associated aesthetic truths are socially inheritable – patterns of thinking that are taught by one generation of leaders to the next, resulting in traditions that are very difficult to break or displace. The existence of aesthetic truths and their perpetuation across generations of leaders are important and noteworthy characteristics of Classical management. Concern for people establishes a penultimate purpose and humanizes activities in both life and workmanship, while curiosity – asking “Why?” – challenges preconceptions that threaten human ability to solve problems and helps assure humanity’s progress. Curiosity, informed by observation, is actualized systematically by Toyota through the use of PDCA, kaizen, and other forms or derivatives of the Scientific Method. Their daily use by all employees reduces the chance that individuals or the organization will become dominated or overtaken by mere aesthetic truths with consequent loss of the facts derived from empirical reality. We know from vast experience that aesthetic truths have from near-zero to zero probability of being in agreement with objective, fact-based truths that have been revealed though careful hypothesis testing. This is perhaps the greatest lesson to be learned from Toyota’s work over the last 70 years. It is pleasing to know that some business leaders have cared to recognize the learning and put it into everyday use. Yet, Classical management, saturated with aesthetic truths, continues to dominate management practice, assuring that necessary progress does not take place or occurs much slower than is needed by humanity. The question becomes, simply, which method of management practice is more efficient at solving problems and assuring human progress? Which can deliver more beneficent ends to humanity? A bedrock premise in Classical management is that conflict and predation (zero-sum outcomes) are both good and necessary. This premise is obviously at odds with assuring human progress, as it retains obsolete war-like traditions that normalize and routinize regression. A bedrock premise in Toyota management is that cooperation and human welfare (as in health, happiness, prosperity) are both good and necessary. This premise is consonant with assuring human progress, as it continuously seeks to find new methods of achieving beneficent ends. The requirement for conflict and predation in Classical management can be logically argued to be true, yet it is a preconception to think that it is the one best way to solve problems and assure human progress. Toyota (and its predecessor system of progressive management) showed us how to successfully make business an experimental (and evolutionary) science, versus business as a theoretical science (as in Classical management due absence or deficiency of experimentation), which has the effect of challenging and destroying preconceptions. That is an amazing accomplishment, but one which continues to languish in relative obscurity.